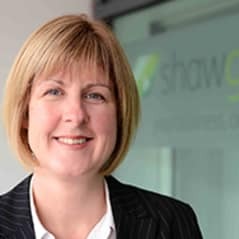 Insolvency specialist Hayley Simmons takes the helm of the Shaw Gibbs Insolvency and Advisory Division in Oxford and London. “Hayley has been a driving force in the development of our Insolvency and Advisory Division; I am delighted she’s taking on this role to further develop the Division and the services offered as our firm continues to grow.” Hayley acts for Companies, Directors, Individuals and Creditors in both formal insolvency and advisory situations with a key focus on looking for the best solution for her clients. She also assists Professional Executors, Charities and Family members with Deceased Insolvent Estates and deals with Members Voluntary Liquidations, working closely with Shareholders and their tax advisors who are looking to sell or retire to help them plan and extract their funds in the most tax efficient way. Hayley succeeds Clive Everitt, who established the Insolvency practice for Shaw Gibbs in 1991. Clive is to remain with the firm in an advisory role.